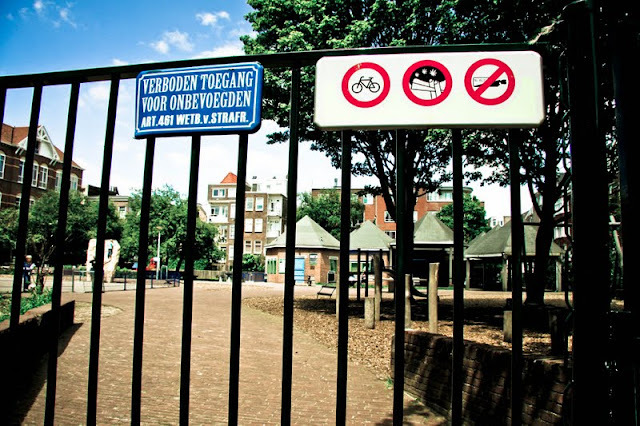 At the children's playground in the Jordaan you shouldn't ride your bike, or smoke your joints but definitely no alcohol. Note, this was not a handmade sign, but an official legit one. Amsterdam, you never fail to surprise me!